AMMONNEWS - King Abdullah II will hold talks with President Nicos Anastasiades of Cyprus and Greek Prime Minister Alexis Tsipras . Their second trilateral summit is expected to focus on the expansion of cooperation in several areas, including increasing the development of renewable energy. Cyprus and Jordan are expected to sign an agreement of cooperation against terrorism, organised crime and drug trafficking and deals on research, innovation, technology and education. Natural Hydrocarbons Company chief executive Charles Ellinas told the media that the talks would boost energy and security coordination. 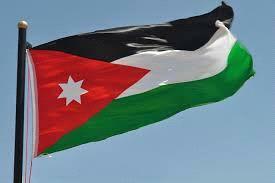 Jordan has signed natural gas supply deals with Egypt and Israel it is also importing liquefied natural gas (LNG). Cyprus, Greece and Israel met on March 20 in Jerusalem along with hawkish US Secretary of State Mike Pompeo to deepen energy extraction in the region. The US and EU are both keen to develop new supplies of natural gas to diversify energy supplies away from Russia. The Democrat’s Foreign Relations Committee boss, Senator Bob Menendez, joined Senator Marco Rubio this week to introduce the Eastern Mediterranean Security and Partnership bill, which would lift the decades-old arms embargo on Cyprus. The bill would allow the US to enter into energy cooperation deals between Cyprus, Greece and Israel. Menendez argues that deepening US-Cypriot energy cooperation is needed to counter European energy dependence on Russia. But Turkey has vowed to prevent Cyprus from extracting fossil fuels. Turkish Foreign Minister Mevlut Cavusoglu vowed earlier this year that Ankara would soon begin drilling for oil and gas off of Cyprus. The increased involvement of Greece and Cyprus in west Asian affairs is seen as a means to boost regional development. “Greece and Cyprus are two stable democracies in the region and in good terms with most of their neighbours. The challenge, of course, is Turkey which is at odds with almost all its neighbours,” Ellinas added.